‘Maid in London’ is a website where hotel workers can post their reflections anonymously. Usually immigrants, often with uncertain legal status, vulnerable to blackmail, they work to punishing schedules and send their earnings home. The blog inspired one of the ballads that folk musician Ewan McLennan will sing in Bridport on November 4th as part of Breaking the Spell of Loneliness. 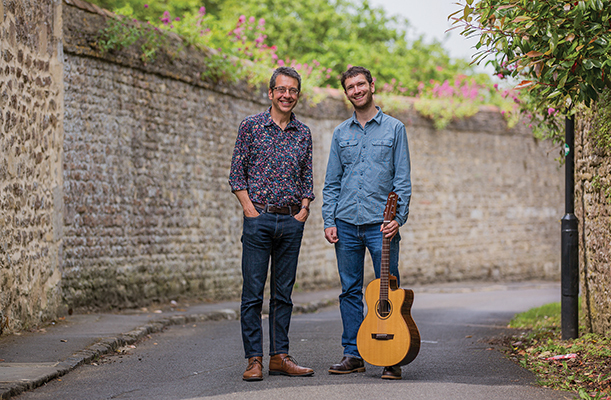 In a collaboration with the journalist George Monbiot, McLennan has written and will perform songs on the theme of separation. Our mutual estrangement may take us by surprise. Another song started life with Monbiot fretting in a queue as the elderly woman ahead of him engaged the shopkeeper in discussion. He reflected only later on how poorly the human need to communicate is served by our way of life—and at what cost to us all—star columnists and isolated old people alike. Another lyric came out of a Police officer’s description of a typical night on station duty, offering an unexpected eye-view of those for whom our society has little or no time. A collection of Monbiot’s articles, How Did We Get into This Mess?, was recently published to acclaim. But he is perhaps best known for his campaigning journalism on the environment. His Feral (2013), about the rewilding movement, has been influential with the public in general and with the National Trust’s management policies in particular. It will come as no surprise, then, that another song here treats of our increasing alienation from nature as one further ‘degree’ of separation. This in turn gives rise to another division—between the experience of parents and that of today’s children. ‘In one generation,’ he writes, ‘the unaccompanied home range of children in Britain has declined by an average of 90%.’ Conkers lie about uncollected / Even the words have withered now—the reference is to the removal of the word ‘conker’ from the Children’s OED but any parent walking his or her child to school this autumn will know the feeling. Our isolation in this profound sense, even from nature, is a problem Monbiot traces to the very beginnings of modern western individualism. Thomas Hobbes is best known for his characterisation of human life in its natural state as a ‘war of all against all’. It is from him that we all know that life is ‘nasty, brutish and short.’ These catchphrases from the 1650s have retained their uncanny power. Monbiot hears them still reverberating as our own ‘ideology of detachment celebrates social collapse with a romantic lexicon of lone rangers, sole traders, self-made men and women.’ But it’s worth reflecting on just how peculiar this ‘lexicon’ is. Hobbes was writing from direct experience of a savage civil war in which many thousands had gone to their deaths for creed or crown or both. He used such strong language as a way of bringing his contemporaries to their senses, of awakening them to some fresh appreciation of where their own interests truly lay. Yet three centuries and more later, we are still clutching these phrases of his, shorn of any context. Corporate lobby-groups and think tanks do not bother themselves about our true interests. It is profit-margins alone which they have at heart as they promote this vision of our natural state as one of non-stop zero-sum competition. Compassion, we learn young, is disguised self-interest. Gratitude is covert resentment. Solidarity is passé. Hobbes was not wrong to exalt the idea of individual freedom. It’s an idea from which we have all benefitted. But this reductive psychology is what we have really taken over from him. His theory of human nature was addressed to a very particular time and place. It is our own society which has elevated it into an eternal and universal principle. The claim that we are all of us locked in continual competition is simply not true to anyone’s actual experience. No. But on November 4th you can get out of the house and address all of this, and more, in company and in song, and even, perhaps, in some hopes of beginning to change it. Breaking the Spell of Loneliness, November 4th 7.30 pm, Bridport Arts Centre, will be a curtain-raiser for the Bridport Literary Festival.